If you use the FaceBook for iPhone app a lot like me you will want to stay away from the new update for the FaceBook for iPhone app. 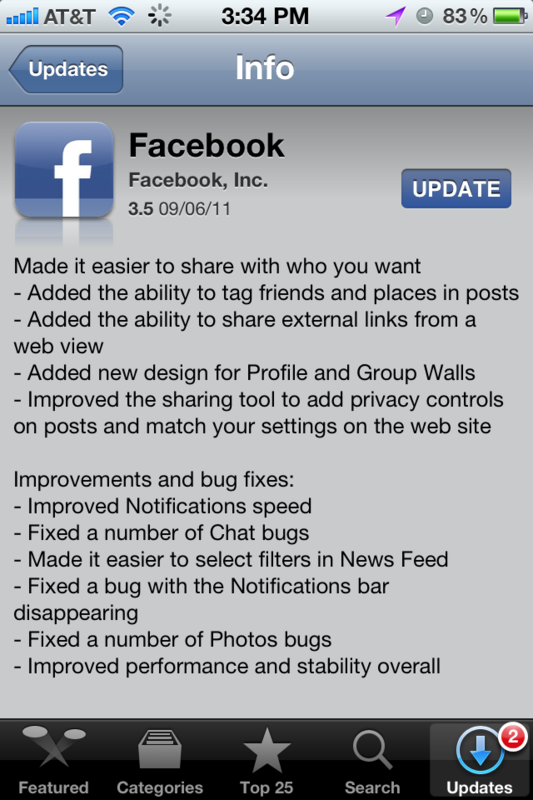 Now you see Facebook for iPhone has a reputation for being one of the buggiest apps in the app store… This update takes it to a new level. You see they say bug fixes but it adds so many more the app can actually crash your phone. I haven’t been able to use it for more than a few seconds before it either freezes or crashes. Now if you are lucky you might be able to downgrade to the old USABLE version. It might be buggy but at least it works and to find out how to do this follow me after the break!